We are two months into our review of Elliott’s Sports Analysis from renowned tipster Keith Elliott. The service focuses mainly on golf, which is where Keith has built his reputation as a formidable tipster over the years, also publishing a number of books on golf betting. There are also some selective bets on football included in the service, focusing mainly on the Premiership. So how have things gone during the two months of our trial? Well so far it has been a little disappointing. Overall results on the golf are 45 points down and that is with a big winner coming this week in the form of Chris Kirk at the Colonial at 35/1. Before the Kirk win, the service was just under 100 points down, so last week’s winner has helped to lift the results quite considerably. Such is the way of things with golf betting – you are betting at much longer odds than you would in horse racing or football, so the losing runs are going to be longer and then you will have some big winners that can turn results around. Indeed, in the last 18 of such events over the last two years, Keith has amassed a very impressive 313 points profit, picking the winner in 8 of them. This trend has been backed up in our trial, where Keith has done considerably better in the big events than the regular tour events. His total for the big events during our trial – i.e. the Masters and WGC Matchplay – has been 18 points profit, compared to the overall total of a 45 point loss. So perhaps the key to this service is to only follow it in the big events and give the smaller regular tour events a swerve. We have a month to go, so that will take in the US Open at Chambers Bay, so let’s see if Keith’s impressive form in the big tournaments continues. The football tips have trod water, with a net total of 0.5 points profit being recorded so far from 40 bets. The tips tend to focus on the Premiership, with the occasional venture into other markets such as internationals or the playoff matches being held this weekend. 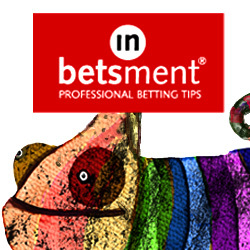 There are some outright bets and some more specialised markets utilised. At the moment the football tips are nothing to write home about but no losses incurred either. I will report back on the final results for Keith’s service in a month’s time. In the meantime, you can check out Elliott Sports Analysis here.